Today, in the conclusion of her two part guest post on the dismissed employee's obligation to mitigate damages, Marie-Hélène Mayer discusses the issue in more conventional dismissal situations. I thank Marie-Hélène for her excellent posts. In my blog post on Monday, I discussed the recent decision made by the Ontario Court of Appeal in the case of Chevalier v. Active Tire & Auto Centre Inc. The outcome of this decision confirms a general principle of employment law: when one party breaches a contract, the other party is obliged to take all reasonable steps to minimize – that is, to “mitigate” their losses. In some cases, mitigation means a terminated employee may need to accept an offer of re-employment from their previous employer. Although not a common situation, it is happening more frequently and marks an important legal development. Today, I examine a more typical mitigation scenario: when an employee is terminated, provided with a severance package, but is not offered a position back with their previous employer. When discussing the concept of mitigation it is important to go back to first principles of contract law. Mitigation is a principle of the law of damages for breach of contract. As employment law is in essence contract law, the concept of mitigation has figured prominently in employment law cases. As noted above, a dismissed employee must take all reasonable steps to minimize any losses they have suffered as result of the loss of their employment. In non-legal jargon this means that if you have lost your job, you have an obligation to find another job as quickly as possible to cut your losses. What is sometimes unclear to both employees and employer (and where most of the questions arise from both parties) is whether an employer must continue to pay an employee during their notice period, once that employee has secured new employment. An example is useful to clarify. Lisa is terminated November 1, 2013, and is provided with six months of notice. Lisa’s termination agreement does not address what happens if she gets another job before the six months are up. Lisa gets a new job on January 30, 2014. Is Lisa still entitled to receive the remaining months of salary and benefits? The technical legal answer (and the one you would encounter in a contract textbook) is that the employer is no longer obliged to continue to pay Lisa once she ceases to suffer an interruption in her earnings. The practical answer is, not surprisingly, rarely this straightforward. Usually a compromise is reached and a “mitigation clause” is inserted into the termination agreement. This legal term usually states that should the employee secure a new position before the end of the notice period, the employer will pay a portion of what is remaining – usually half. (This too can be negotiated). It is important to remember the general principle: an employee has a positive obligation to look for another job. This obligation can be modified by agreement, but the general presumption, absent agreement to the contrary, is that the employee must take reasonable steps to secure replacement income if their employment is terminated. In my experience, employees sometimes have unrealistic expectations and do not fully appreciate what steps they are obliged to take to look for a new position. There is a balance which needs to be achieved between the competing interests of employees and employers. Employees want the largest package possible and employers are looking for ways to minimize costs. Employers need to understand that in order for the doctrine of mitigation to apply – the employee must take reasonable steps to find a comparable position within the prescribed notice period. It is not reasonable to expect a former employee to simply take the first offer that comes along – especially if that offer is for considerably less money. Some lawyers will argue that an employee must accept any alternate employment. I disagree. The accepted thinking is that an employee is obliged to accept only a comparable position. This is sometimes tough for employers to accept. A final point for employers to consider is that no matter how well an employee may have mitigated their damages, employers must still meet their statutory obligations of notice and/or severance under applicable legislation. Payment under the applicable statutory requirements is not set off by mitigation earnings. Marie- Hélène Mayer B.A. (Hons. ), LL.B/J.D. is an employment lawyer with Rubin Thomlinson LLP. Marie-Hélène has spent most of her career in private practice appearing before various administrative tribunals and courts. Her primary focus is advising employers and employees on workplace issues under both Ontario and Federal law, termination settlements, employment contracts, wrongful dismissal litigation and human rights complaints. Marie-Hélène has also worked for a large financial institution, where she acquired corporate human resources experience. Having worked in both private practice and in the corporate world means that Marie-Hélène can skillfully apply and interpret employment law in today’s business workplace. Marie-Hélène may be reached at mmayer@rubinthomlinson.com. Marie- Hélène’s own blog can be found at Club Mom. Employment Mitigation Issues - Does a Dismissed Employee Have to Return to Their Old Job if it is Offered Back? As I have enough trouble writing about income tax and money, I have steered away from discussing employment issues on my blog, other than a rant about references and how they are A No Win Situation for Past and Future Employers and how people Waste References. Since this topic is complex, I have enlisted the help of Marie-Hélène Mayer, an employment law specialist whom I have worked with over the years. In the first post of her two-part series, I think you will be shocked at how a recent court case expects employees to mitigate their damages in certain circumstances. One of the most frequent questions I get asked when providing advice to a newly terminated employee is how quickly he or she should be looking for a job. Employers are equally concerned with how quickly a terminated employee should be seeking replacement employment since they bear the entire financial burden of paying severance. Both employees and employers are often surprised to hear that an employee’s obligation to secure replacement employment (or as lawyers like to call it, “mitigate” their damages) is quite stringent and requires employees not only to take active steps to look for a new position, but may, in some instances, require the employee to consider going back to work for their former employer. This may sound counter-intuitive and impractical (it can be) but is happening with greater frequency. Today, in the first part of a two-part series on mitigation, I discuss a recent decision of the Ontario Court of Appeal, Chevalier v. Active Tire & Auto Centre Inc. (“Chevalier”) 2013 ONCA 548, which confirms the principle that the law of mitigation, may in certain circumstances, require a terminated employee to accept an offer of re-employment from its previous employer. 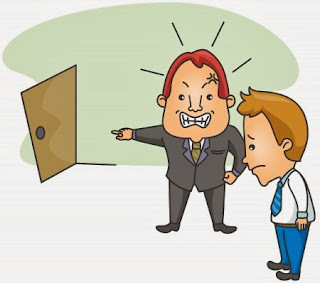 On Wednesday, in the second part of this series, I will examine an employee’s obligation to mitigate in the more conventional situation, where the employee is dismissed and not offered their job back. In Chevalier, the employee had been the manager of an auto and tire centre. He was 55 years old and had worked there for 33 years. The employer was having financial troubles. The employer thought (erroneously) that he was entitled to lay the employee off on that basis without providing adequate notice. The employee took legal action. Five days after litigation began, the employer recalled the employee to work. The employee declined to return to work and instead proceeded to trial. The employee made several allegations against his employer. He claimed that he was not prepared to return to his job because it would be too embarrassing and humiliating. The employee also claimed that his employer had embarked on a deliberate campaign of harassment and intimidation which made returning to work impossible. But the evidence simply did not support his claims. The Court found no basis to conclude that the employer had been motivated by anything other than legitimate business reasons when it decided to lay off this employee. In short, the employer had not engaged in poor conduct or any “campaign of harassment”. In the end, the Court found that a reasonable person in the same position would have accepted the offer to return to the workplace. Since the employee should have returned to work when requested, but refused, no damages were awarded. What does this mean as a practical matter? If you lose your job, and later your employer changes its mind and offers you your job back, are you obliged to take it? 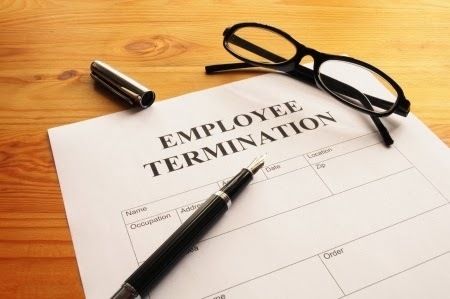 If you are an employer, are you under an obligation to re-employ a terminated employee? Are there limits on how and when it should be done? Here are a few things to think about if you are an employee faced with this situation. The legal landscape has changed. Judges are unlikely to be impressed by the fact that you may find it uncomfortable to return to work after being let go. This is particularly true if your employer has been experiencing financial difficulties. Getting a new job is difficult, and when an employer makes a legitimate offer to rehire an employee, unless you have something better waiting for you, most employees would be foolish to not accept the offer and demand a notice payment instead. The Courts are unlikely to side with the employee unless there is evidence that the employer’s offer is insincere or that the relationship between the employer and the employee is completely irreparable. Similarly, a court would not expect an employee to accept a job offer from their former employer if there is evidence that the employee was humiliated or embarrassed prior to being let go. If you are an employer, your intentions must be sincere and should look that way too. Optics are very important. Employers who can show that they have behaved appropriately and that the work environment is respectful may save themselves significant severance dollars. Employers must act at all times as though a record is being created (and make sure that they do create a documentary record) and conduct themselves appropriately. Employers who do so can limit their liability and a potential wrongful dismissal suit down the road. Join me again on Wednesday, I will discuss mitigation in context of more traditional dismissal cases. My Twitter year-end tax tips for this week are listed below. This is my last set of tweets on this topic. 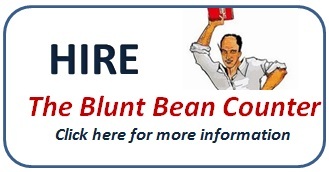 As I tweet tax and money related information fairly regularly, you may want to follow me on Twitter @bluntbeancounter. In today's Globe and Mail, Marjo Johne writes an interesting article on how donating some of the families fortune can create a philanthropic legacy - but also bitterness among heirs if not done right. Katy Basi, an estate lawyer and frequent contributor to this blog and I are quoted. Here is a link to the article. they lack knowledge or because they listened to a tip they picked up at a cocktail party. These missteps relate to real estate transfers, probate planning and inheritance issues. I would like to thank Roma Luciw, the Globe’s personal finance web editor, for providing me with the opportunity to write this article during Financial Literacy Month. Long time readers will be shocked that Roma was able to have me condense my originally submitted article to only 650 words. I really appreciated Roma’s editorial expertise. The two winners of the autographed copies of Richard Peddie's Dream Job book giveaway are Steve K. and Imelda L.You will be contacted by email to arrange delivery. My Twitter year-end tax tips for this week are listed below. I really like this week's tips as many are not the standard tips you read, if I do say so myself. You can also see them as they come out daily on Twitter each morning and afternoon. My twitter name is @bluntbeancountr. I hope there will be one or two tips that are beneficial. For the third year in a row, I am posting a blog on tax loss selling. 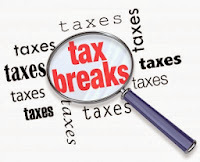 I am doing it again because the topic is very timely and every year around this time, people get busy with holiday shopping and forget to sell the “dogs” in their portfolio and as a consequence, they pay unnecessary income tax on their capital gains in April. Additionally, while most investment advisors are pretty good at contacting their clients to discuss possible tax loss selling, I am still amazed each year at how many advisors do not discuss the issue with their clients. So if you have an advisor, ensure you are in contact to discuss your realized capital gain/loss situation and other planning options (if you have to initiate the contact, consider that a huge black mark against your advisor). 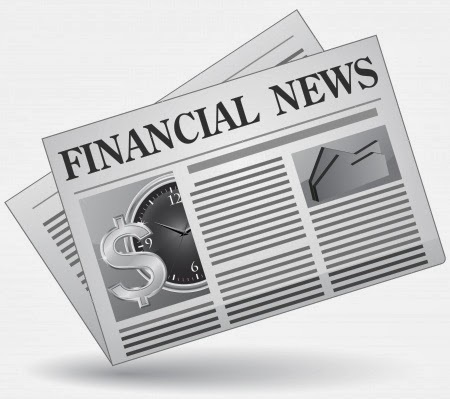 For full disclosure, other than the "missing dividend section" and updating dates, there is very little that is new in this post. I would suggest that the best stock trading decisions are often not made while waiting in line to pay for your child’s Christmas gift. Yet, many people persist in waiting until the third week of December to trigger their capital losses to use against their current or prior years capital gains. To avoid this predicament, you may wish to set aside some time this weekend or next, to review your 2013 capital gain/loss situation in a calm methodical manner. You can then execute your trades on a timely basis knowing you have considered all the variables associated with your tax gain/loss selling. All capital gain and capital loss transactions for 2013 will have to be reported on Schedule 3 of your 2013 personal income tax return. You then subtract the total capital gains from the total capital losses and multiply the net capital gain/loss by ½. That amount becomes your taxable capital gain or net capital loss for the year. If you have a taxable capital gain, the amount is carried forward to the tax return jacket on Line 127. For example, if you have a capital gain of $120 and a capital loss of $30 in the year, ½ of the net amount of $90 would be taxable and $45 would be carried forward to Line 127. The taxable capital gains are then subject to income tax at your marginal income tax rate. 1. Retrieve your 2012 Notice of Assessment. In the verbiage discussing changes and other information, if you have a capital loss carryforward, the balance will reported. This information may also be accessed online if you have registered with the Canada Revenue Agency. 2. 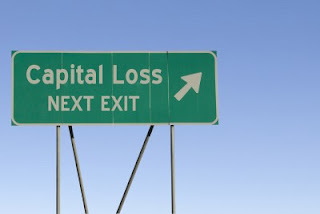 If you do not have capital losses to carryforward, retrieve your 2010, 2011 and 2012 income tax returns to determine if you have taxable capital gains upon which you can carryback a current year capital loss. On an Excel spreadsheet or multi-column paper, note any taxable capital gains you reported in 2010, 2011 and 2012. 3. For each of 2010-2012, review your returns to determine if you applied a net capital loss from a prior year on line 253 of your tax return. If yes, reduce the taxable capital gain on your excel spreadsheet by the loss applied. 4. Finally, if you had net capital losses in 2011 or 2012, review whether you carried back those losses to 2010 or 2011 on form T1A of your tax return. If you carried back a loss to either 2010 or 2011, reduce the gain on your spreadsheet by the loss carried back. 5. 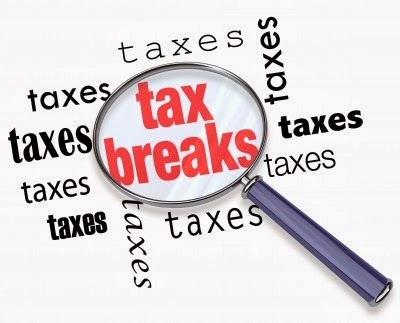 If after adjusting your taxable gains by the net capital losses under steps #3 and #4 you still have a positive balance remaining for any of the years from 2010 to 2012, you can potentially generate an income tax refund by carrying back a net capital loss from 2013 to any or all of 2010, 2011 or 2012. Based on the above, you will be able to carry back your $15,000 net capital loss ($30,000 x ½) from 2013 against the $7,000 and $5,000 taxable capital gains in 2010 and 2011, respectively, and apply the remaining $3,000 against your 2012 taxable capital gain. As you will not have absorbed $12,000 ($15,000 of original gain less the $3,000 net capital loss carry back) of your 2012 taxable capital gains, you may want to consider whether you want to sell any “dogs” in your portfolio so that you can carry back the additional 2013 net capital loss to offset the remaining $12,000 taxable capital gain realized in 2012. Alternatively, if you have capital gains in 2013, you may want to sell stocks with unrealized losses to fully or partially offset those capital gains. Purchasing a flow-through limited partnership will provide you with a write off against regular income pretty much equal to the cost of the unit; and any future capital gain can be reduced or eliminated by your capital loss carryforward. For example, if you have a net capital loss carry forward of $75,000 and you purchase a flow-through investment in 2013 for $20,000, you would get approximately $20,000 in cumulative tax deductions in 2013 and 2014, the majority typically coming in the year of purchase. Depending upon your marginal income tax rate, the deductions could save you upwards of $9,200 in taxes. When you sell the unit, a capital gain will arise. This is because the $20,000 income tax deduction reduces your adjusted cost base from $20,000 to nil (there may be other adjustments to the cost base). Assuming you sell the unit in 2015 and you have a capital gain of say $18,000, the entire $18,000 gain will be eliminated by your capital loss carry forward. Thus, in this example, you would have total after-tax proceeds of $27,200 ($18,000 +$9,200 in tax savings) on a $20,000 investment. In certain cases you can use the superficial loss rules to your benefit. As per the discussion in my blog Capital Loss Strategies if you plan early enough, you can essentially use the superficial rules to transfer a capital loss you cannot use to your spouse. A quick blog recap: if you sell shares to realize a capital loss and then have your spouse repurchase the same shares within 30 days, your capital loss will be denied as a superficial loss and added to the adjusted cost base of the shares repurchased by your spouse. Your spouse then must hold the shares for more than 30 days, and once 30 days pass; your spouse can then sell the shares to realize a capital loss that can be used to offset your spouse’s realized capital gains. Alternatively, you may be able to just sell shares to your spouse and elect out of certain provisions in the Income Tax Act. Both these scenarios are complicated and subject to missteps, thus, you should not undertake these transactions without first obtaining professional advice. If you intend to transfer losses this year, you must act quickly (you only have ten or so days to get this done) to ensure you are not caught by the 30 day hold period and the settlement date issue noted below. It is my understanding that the settlement date for stocks in 2013 will be Tuesday December 24th. Please confirm this date with your broker, but assuming this date is correct, you must sell any stock you want to crystallize the gain or loss in 2013 by December 24, 2013. This week I started tweeting daily year-end tax planning tips under the hashtag #yearendtips. 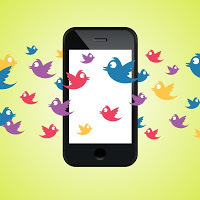 The tweets are constrained by Twitter's 140 character restriction, so are fairly simplistic and lack detail. Notwithstanding the tweet restrictions, hopefully, these tips will act as a reminder for your year-end tax planning or cause you to review a tax issue you had not considered. My Twitter year-end tax tips for this week are listed below. My twitter handle is @bluntbeancountr. I hope there will be one or two tips that are beneficial. 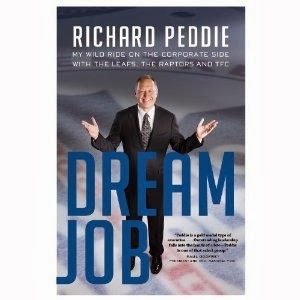 Richard Peddie, the former president and CEO of Maple Leaf Sports and Entertainment (“MLSE”), recently released his memoirs in a book titled “Dream Job”. The book weaves together tales and lessons of business, leadership and sports – so if you are a sports fan and business enthusiast, you should thoroughly enjoy this book. I happen to have two autographed copies of the book that I’m prepared to giveaway to you, my readers. If you are interested in a copy, please email lynda@cunninghamca.com and I will draw two winners from a hat on November 18th. For Toronto Maple Leafs fans, Mr. Peddie has been a lightning rod for criticism because of the Maple Leafs lack of success and Stanley Cup drought. In addition, both the Toronto Raptors and Toronto FC soccer team were less than successful during Mr. Peddie’s reign. To Richard’s credit, he does not hide from his teams records. He states that he may have stayed longer, “but I got tired of losing”. He has “regrets about some of the general managers I hired”, including (in reference to John Ferguson) “our big mistake, you don’t put a rookie GM in charge of the Maple Leafs” and “ in hindsight, what was I thinking hiring a reserved, taciturn coach [sic] for the Toronto market?”. He puts Rob Babcock, the former GM of the Raptors, “among the worst hires of my entire career” and in regard to the Raptors, he states “the record is disappointing, it’s unacceptable and it wore me down”. 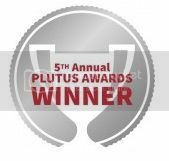 Richard says that “as the CEO responsible for the performance of the Leafs between 1996 and 2011, I can assure you that losing caused me the most pain”. Throughout the book Mr. Peddie states that the most ridiculous notion held by fans was that MLSE only cared about money and not how well the team performed. He refutes that notion, saying he and MLSE cared deeply and that the insinuation makes no economic sense (more playoff games means MLSE makes more money). With the sports teams’ records dealt with, let's look at some of the pearls of business wisdom and sports tidbits in the book. It is interesting to note that Richard loved basketball and always wanted to run a basketball team from the time he was 20. Hockey was not his first sports love. In the book, Richard takes you through his varied careers with Colgate, Pillsbury, Labatt Communications, The SkyDome and MLSE, which is very interesting reading, if you are interested in the business of business. Mr. Peddie states that the value of MLSE grew six-fold from a $300 million enterprise value to somewhere close to two-billion while he was CEO. While the reasons for the growth are multi-faceted, a significant reason was that instead of having the Leafs and Raptors at cross purposes, MLSE was able to eventually synergistically combine four teams. If there is one business takeaway from the book, it is how important Richard feels vision and values are to any leader and their organization and how they must be adhered to and not just be statements on plaques in a company’s reception area. While being the president and CEO of MLSE has significant perks, when the fans’ beloved Maple Leafs are not winning, the job can be outright scary. In chapter two, Mr. Peddie discusses death threats he received, fans wanting to fight him and how someone hired a plane with “Fire Peddie” to fly over the Air Canada Centre ("ACC") and how there were three websites devoted to firing him. Vince Carter was a “mama’s boy” and even after he was traded, his mother assumed she could continue to enter the private lounges at the ACC. When Ken Thompson, the richest man in Canada, was being shown potential new seats at the ACC (season ticket holders were given a chance to select new seats when the team moved from Maple Leaf Gardens), he selected two great Platinum seats. However, 48 hours later he called back and asked for first row gold seats. These seats were only one row higher and saved him a seat licence and club fee. Rich guys are no fools. I always hated the popcorn at Maple Leaf Gardens – I now know why. Richard reveals that the popcorn at Maple Leaf Gardens was always stale because it was made weeks ahead as there were not enough machines to pop it freshly. A very interesting tidbit that touched me personally is when Richard speaks about how he would often give his own personal lower bowl Maple Leaf and Raptor tickets away prior to a Leafs game. He would go up to the purple (highest) section and find a kid with a Leafs or Raptor shirt on and give them his seats. Sort of his own “Campbell’s Van Line move of the game”. Why I found this interesting is that about twelve years ago I was given purple tickets to a Leafs game and took my son, who of course had his Leafs shirt on. A guy in a suit who said he worked for MLSE asked us if we wanted his tickets to move to the lower bowl and gave us his tickets. I do not remember the MLSE executive saying his name, so it may not have been Richard, but we were given the tickets and appreciated the gesture. What is funny about this incident is that my son who was 9 or 10 at the time wanted to stay in the purples since he could see the whole ice and I had to drag him to the great seats in the lower bowl. A non-sports related tidbit is that Richard notes in his book that he was not a great student until later in university and if it hadn’t been for a teacher increasing one of his marks, he may never have even gone to university. Why I find this interesting is that I have always felt marks (except for the truly brilliant) were overrated and the intangibles are often of much greater importance (remember that if I ever interview you). Here is a perfect example of a great CEO who very easily could have not even gone to university if not for some luck. I will stop here so you have something left to read, but I highly suggest you give the Dream Job a read and if you would like the chance to win a free signed copy, send your information to Lynda.